Complete refurbishment of entire rolling stock. 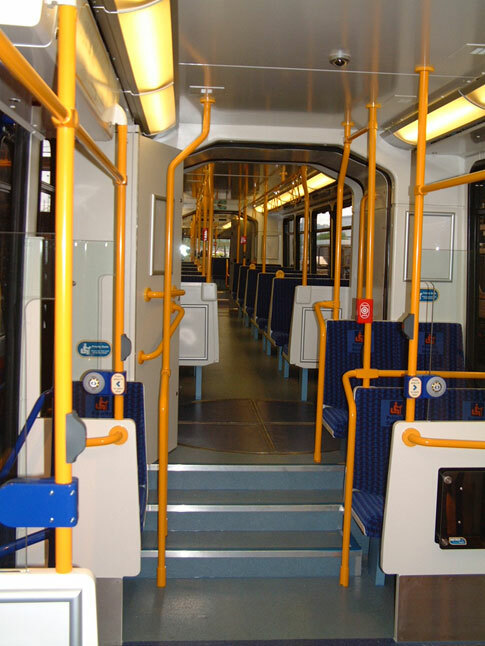 The trams were all undergoing complete refurbishment in Sheffield and the bus poles and handrails were collected from site completed at our factory and returned back by our own transport. This major refurbishment involved our customer in significant expenditure in bringing back the rolling stock to as new condition. Following 10 years of use and abuse the tramcars were due for refurbishment, we were asked to become involved from initial colour selection to the provision of samples, swatch panel’s advice on the suitability of materials and colour schemes. The vehicles were the stripped of fitting and poles, Batchglow then removed the old finish and reworked the equipment. The result being a vehicle that looks as good as new, a bright refreshed interior Timescales were very tight and the requirement demanded a high quality finish that would last in excess of ten years. By necessity the tendering process demanded that selected companies demonstrate longevity, innovation and quality. This was a significant project for which Batchglow became the sole dedicated business partner. The timescale of this project was just over one year where meeting deadlines were key. Given our thirty-year experience within the transport industry we proved the right partner and completed the whole exercise on time and on budget.